Author Robert W. Kerwin wanted to minimize up-front costs by not printing a lot of copies until he was ready for a concerted sales effort. But his publicist needed a few printed books to send to reviewers. This 294-page book was produced as a print-on-demand book available from Amazon. The Book Alchemist designed the cover and interior, set up Amazon and Kindle accounts for the author, and uploaded the book in several different file formats so it can be read on Amazon’s Kindle, B&N’s Nook, or Kobo‘s e-reader. The author received reviews and booked several radio appearances based on the printed books his publicist distributed. 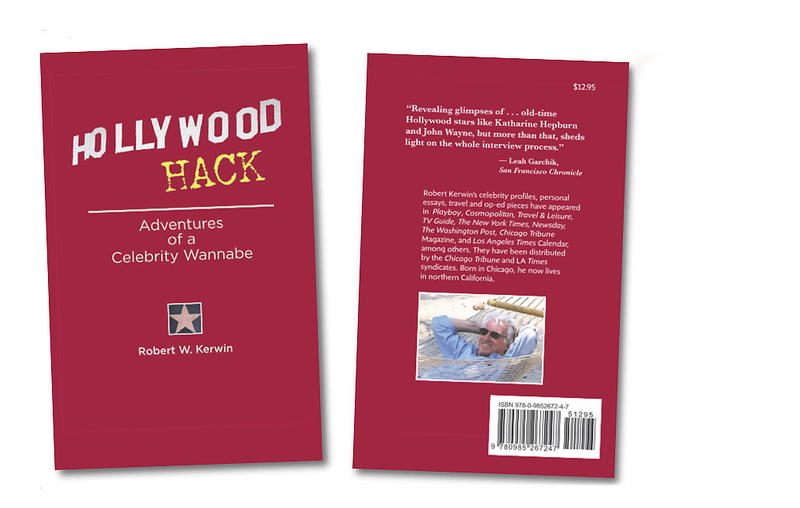 Hollywood Hack: Adventures of a Celebrity Wannabe is a heartfelt account of what extreme obsession with celebrity can do to ordinary people. Its narrator, Robert Kerwin, loved being surrounded by celebrities: Cruise, Newman, Streisand, Hepburn, Nicholson, The Duke, Kojak and the Fonz. You name them, he knew them. the author tells the story of someone desperately needing to be Somebody, and believing celebrity is the answer. In this often hilarious and sometimes heartrending portraiture of celebrity, Robert Kerwin recounts working his way up the celebrity ladder and becoming hooked by the allure and endless possibilities that seem to come with fame and fortune. Along the way he meets hundreds of celebrities that are revealed as brittle and often wicked caricatures of themselves. 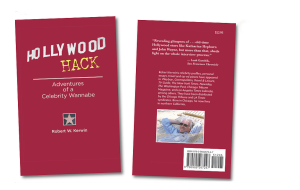 Hollywood Hack is peppered with pertinent anecdotes (including many confrontational scenes) about every star from Mae West to Tom Cruise and beyond; also it takes a good look at the inner workings of high-end celebrity journalism.